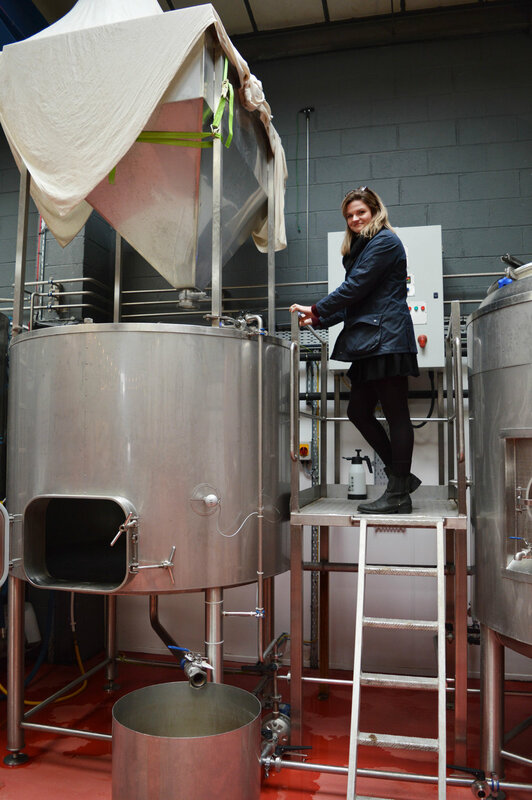 Brewtown: Brewery Tours with a Difference! I have to start off by admitting that I am *mostly* a wine kind of person. Give me a glass of pinot or viognier and I will be perfectly content. In recent months I have been trying to broaden my horizons into the world of grain rather than grape, motivated in part by the fact that we are off the Bruge in January where I'm sure a beer tour or two will be on the cards. Ben and I decided to split the task, as he took on the task of the York based tour (his thoughts will be on the YOAF website). I oped for Leeds in the end, as it's somewhere I'm very keen to explore more from a food and drink point of view. To start off with, I think it's important to give a bit of background and context, as I'm always interested in the reasons why people start a business! Brewtown was founded by Mark Stredwick, who after 16 years living overseas came back to his home county of Yorkshire to pursue his passion: beer. Having taken on a 2-month craft beer tour of north western America and through working as a tour guide with a brewery tour company in Sydney, Mark was well placed to take on the challenge of introducing people to some of Yorkshire's best craft breweries. At present Mark has two tours running, one in Leeds and one in York, however he does also offer custom tours on demand. Each tour is approximately 5 hours long and visits three different breweries, all hand chosen by Mark for their beer selections. I loved the fact that Mark obviously has great relationships with each brewery and was able to show us round alongside each partiular establishment's staff. In terms of cost, each tour is £50pp, which I think is an insanely good deal, as I will explain below... This includes pickup and drop-off and all of the beer you will taste. Our First Stop: North Brewing Co.
After being punctually picked up and removed from the inclement weather by a very friendly Mark, we began our tour by being introduced to our fellow tour-goers through a series of beer related questions - when was your first beer, when was the last time you had a beer and what's your favourite beer. Anyway... we were then promptly delivered to our first brewery, North Brewing Co.
Mark started off by giving us a really good background history to beer and the accidental discovery of the brewing process. 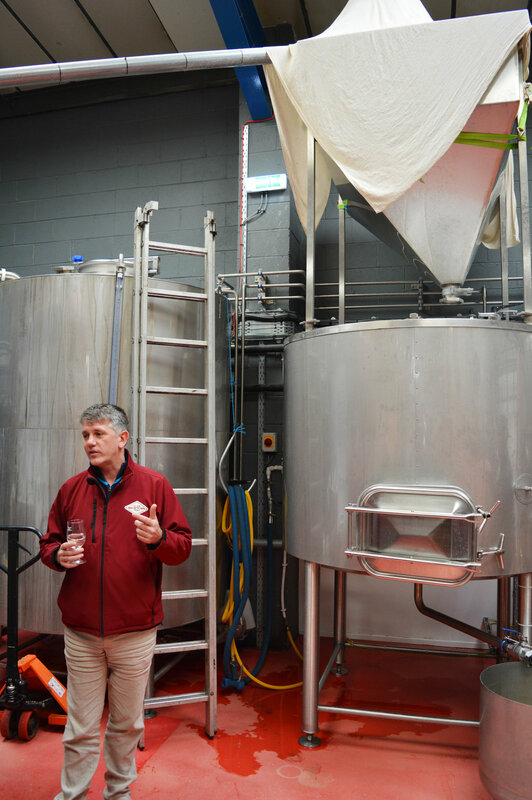 We were then brought up to speed with modern day production methods, which are expertly controlled by specialised machinery and expert brewers. During our tour of North's faculties, we were all given various beers to try, including an amazing sour beer, which went down extremely well with a certain someone writing this post... Honestly if you have never tried a sour beer before and like fruit beers, you seriously need to seek one out. Mark took time to explain the differences between each different (third of a) pint. This included a rather unique Coffee and Coconut Porter, which seemed to divide opinion entirely within the group. After an extremely solid start at North Brewing Co. we moved onto our next stop, the very trendy and very hipster Northern Monk, just south of the city centre. Upon arrival there was an extremely welcome opportunity to purchase some food, something which I highly recommend as a. no food + alcohol = bad life choices and b. the food here is amazing. Des and I both went for a sausage sandwich, which actually went extremely well with our first beer, an IPA called Eternal. We then moved on to more unusual territory: peanut butter jelly beer, which again divided the group. I personally loved it through and relished the opportunity to try something that I would never in a million years pick on my own. We ended our stay at Northern Monk with another beer upstairs, with Mark allowing ample time to chat and finish everything off in a relaxed manner. 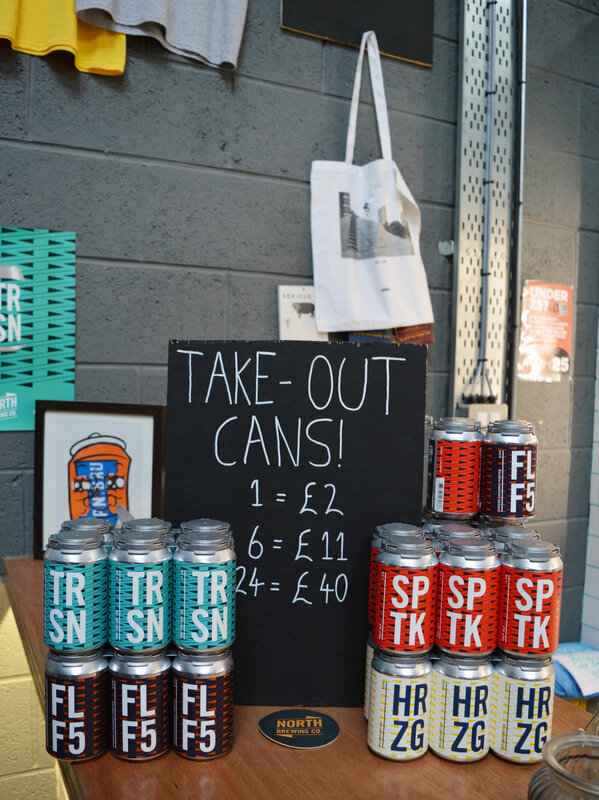 Ideally situated right by Leeds station, The Brewery Tap is not unfamiliar to me as I spent a decent amount of time there last year when I had office space in Leeds. Greeted by the manager, we were taken upstairs to a reserved table (good forethought there, as the place was packed!) and set about trying our last three beers, which also came with food pairings. My favourite combination was certainly the porter and chocolate brownie, deliciously dark and smooth. However crisps and larger certainly worked too! Overall I have to say that even as a non beer drinker, I had a very good time on the tour and actually had my beer horizons expanded considerably! I also think that £50 is such good value for 5 hours of expert advice and beer, especially as Mark drives you around too in his very comfy minivan. I also have to say that I found Mark extremely engaging and enjoyable as a tour guide, something which Des and I both remarked on to each other. It's clearly obvious that this is his real passion and that he genuinely wants to help the breweries themselves reach new audiences too. Something that really struck me though was Mark's stance on responsible drinking and the fact that the whole tour was about enjoying each individual beer, rather than getting absolutely sloshed. I personally appreciated the well timed intervals between each beer round, as I am a bit of a lightweight. In all honestly, I think Mark's onto a winner with Brewtown and I wish him the best of success. If you're planning a birthday or stag/hen do in the area, you really should check the tours out! They are perfect IMO.